Lumotive, a LiDAR startup funded by Bill Gates, announced its development of a disruptive beam-steering technology which will significantly improve the performance, reliability and cost of LiDAR systems for the emerging self-driving car industry. With its patented system using Liquid Crystal Metasurfaces (LCM) and silicon fabrication, Lumotive introduced its beam steering LiDAR that is able to simultaneously offer large optical aperture, wide field-of-view and fast scanning. 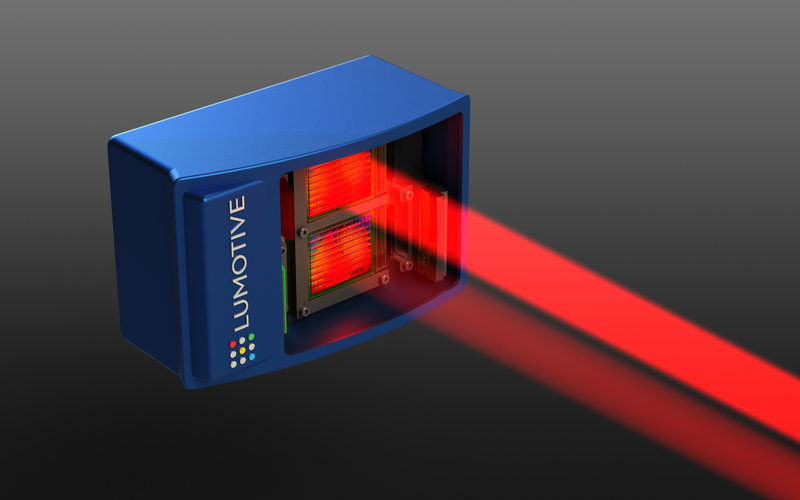 LCMs, semiconductor chips that steer laser pulses based on the light-bending principles of metamaterials, was first used for LiDAR, according to Lumotive. The technology has large apertures to improve LiDAR perception while benefiting from the economics of semiconductor manufacturing to enable low cost systems. Initial production units will be available to select customers for beta testing in the third quarter of 2019. Lumotive’s LCM chips contain no moving parts and are fabricated using mature semiconductor manufacturing along with liquid crystal display packaging to enable a commercially viable LiDAR system with low cost, high reliability and small size. In addition to cost and performance advantages, Lumotive LCMs can be integrated into small form-factor systems, appealing for other applications in industrial and consumer sectors which can benefit from LiDAR. The company’s initial target is the robo-taxi market. According to “LEDinside 2019 Infrared Sensing Application Market Report- Mobile Sensing, LiDAR and Optical Sensing,” various IR products have kept improving, bringing unlimited business opportunities. LEDinside focuses on the applications including security surveillance, biometric recognition on mobile device (iris, 2D facial, under display fingerprint recognition- optical and ultrasonic, 3D facial recognition- structured light, ToF, stereo vision), digital medical care (pulse, oximetry, glucose sensing), spectral sensing, automotive sensing (facial and gesture) and automotive LiDAR, drone, AGV, proximity sensor, optical communication, and more. Market scale, opportunities, challenges, product specification and supply chain are also discussed and analyzed in this report, which helps readers to have an overall understanding to infrared application markets.